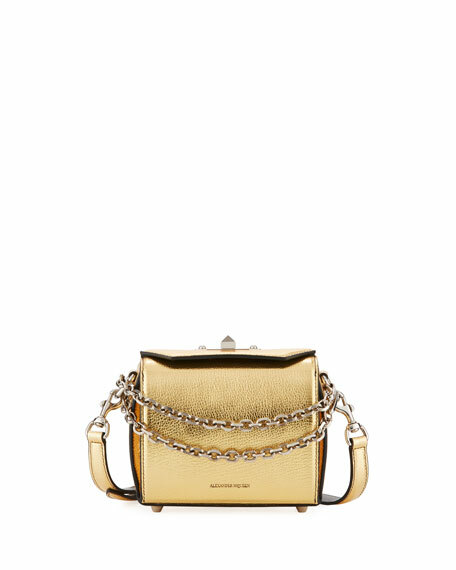 Alexander McQueen metallic grained calf leather box bag. 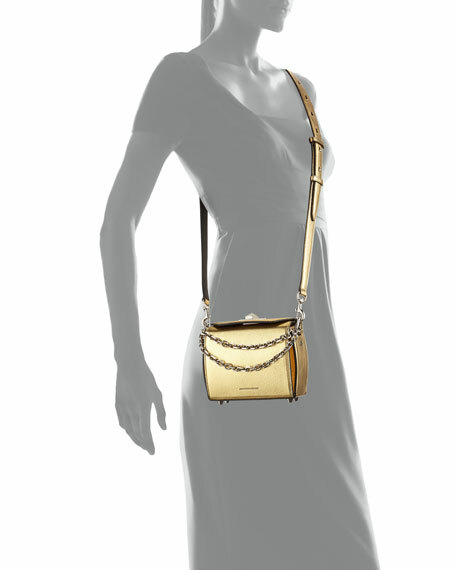 Detachable flat shoulder strap with looped chain. Fold-over top with pyramid stud. Foiled logo at bottom center. Approx. 4.72"H x 6.3"W x 2.4"D.
For in-store inquiries, use sku #2375915.